Synopsis: Albert Einstein said "You can't solve a problem from the same level as the problem." Energy Fix explains, step by step, how to raise your frequency above the level of your problems, allowing you to resolve issues with less struggle and more confidence. 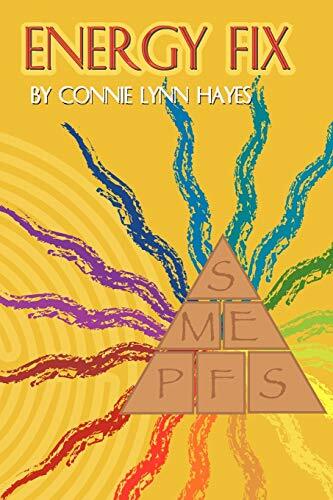 Connie Lynn Hayes, a much sought after speaker and Life Coach, has simplified the subject of "life energy", breaking it down into six manageable sections she calls equities: Physical, Emotional, Mental, Spiritual, Financial and Social. Her conversational style makes this information readable and enjoyable, using many examples from her own life, giving you easy-to-use tools, and challenging you to trust that you can live the happy, healthy life you've always wanted.